Sibu Beauty Cleansing Face and Body Bar is pure, simple and effective, awakening your skin and washing away a day of stress and pollutants. 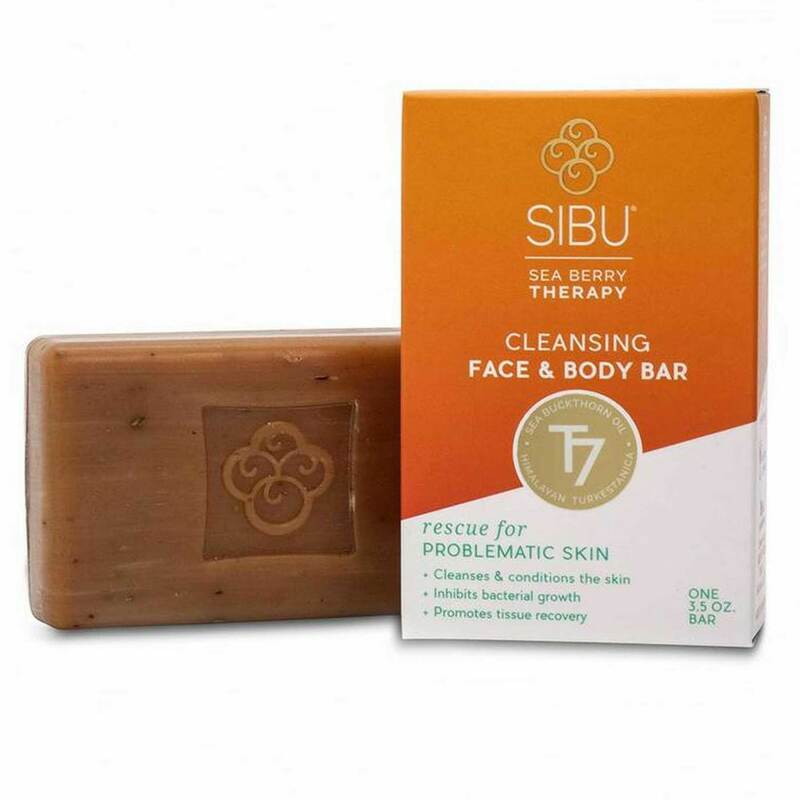 This soap lathers thick and rich to cleanse, detoxify, moisturize, repair and protect. 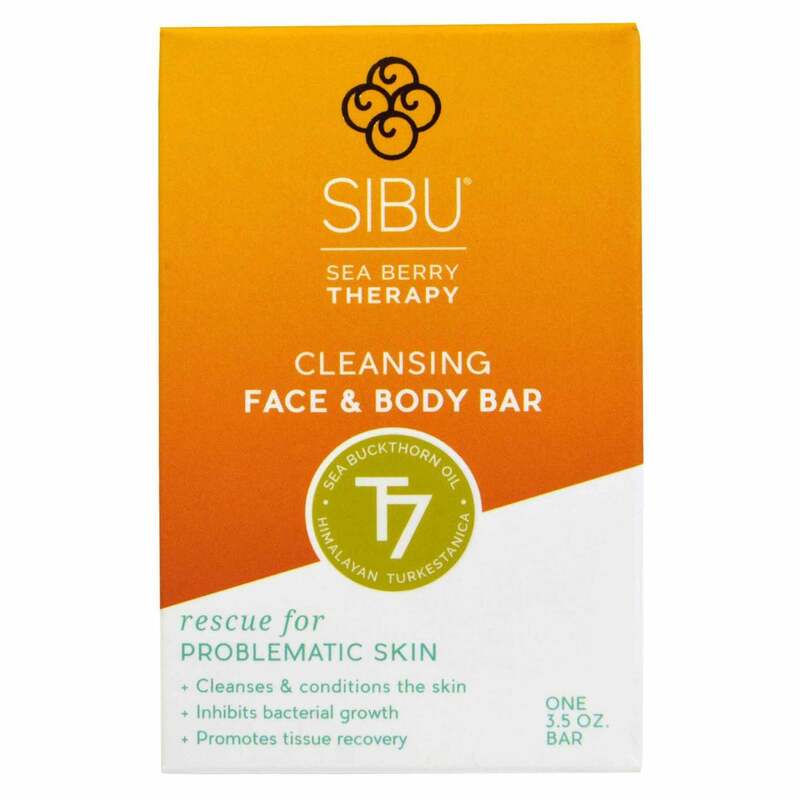 It cleanses and conditions to help your skin breathe as sea buckthorn antioxidants revitalize skin cells. 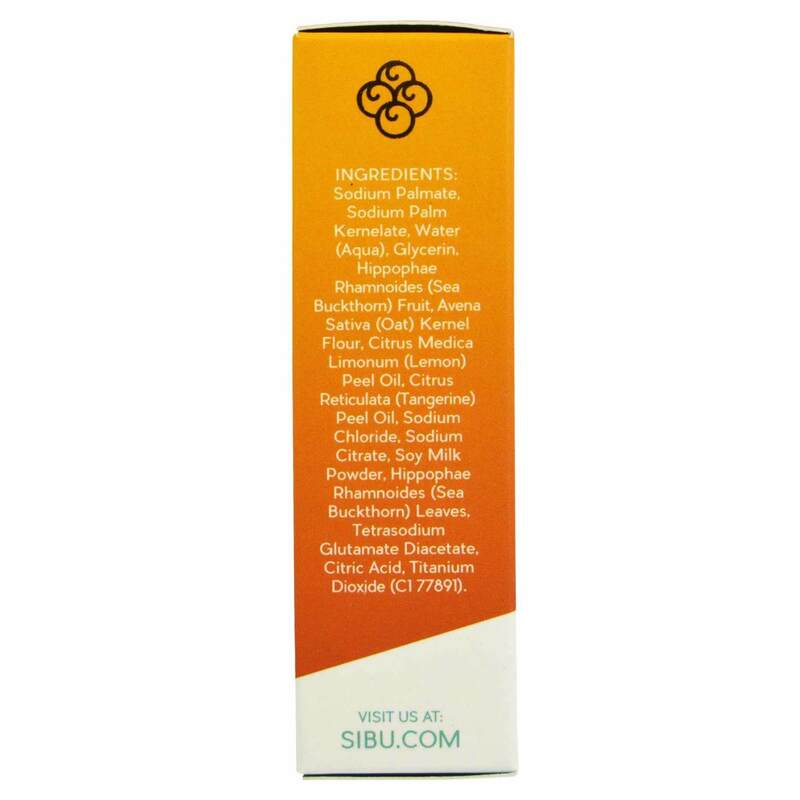 Sibu only uses wild-crafted, Himalayan sea buckthorn. The particular variety of sea buckthorn they hand-harvest, known as Turkistanica, not only has the highest nutrient profile of all sea buckthorn varieties, it also has the highest omega-7 concentrations averaging 37% to 40% of the berry. Recommended Use: In the morning and evening moisten hands and Face and Body Bar. Work Face and Body Bar into a lather, and gently massage onto face and neck. Rinse thoroughly with lukewarm water.